Classic Medieval Rapier Dagger High Carbon With Sheath | BUDK.com - Knives & Swords At The Lowest Prices! 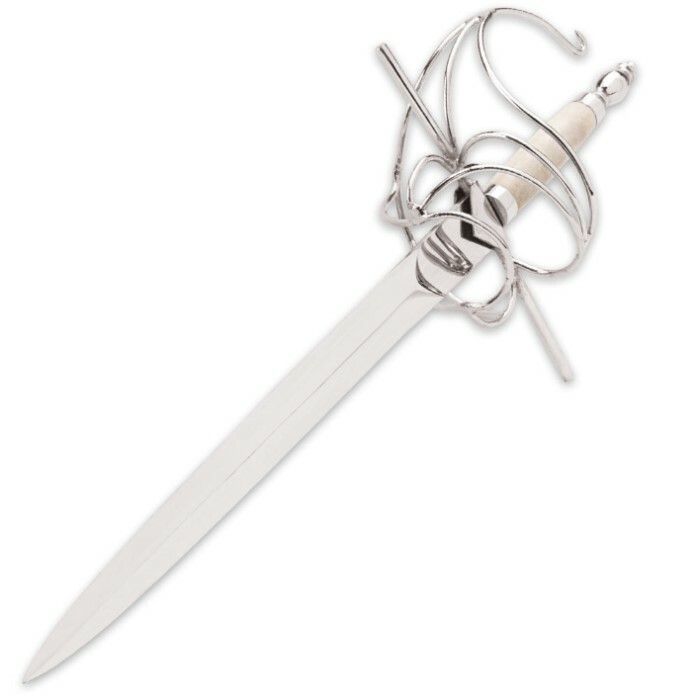 A beautifully crafted Rapier Dagger with a basket hilt is what you must have for your historic collection and this little beauty fits the bill perfectly. 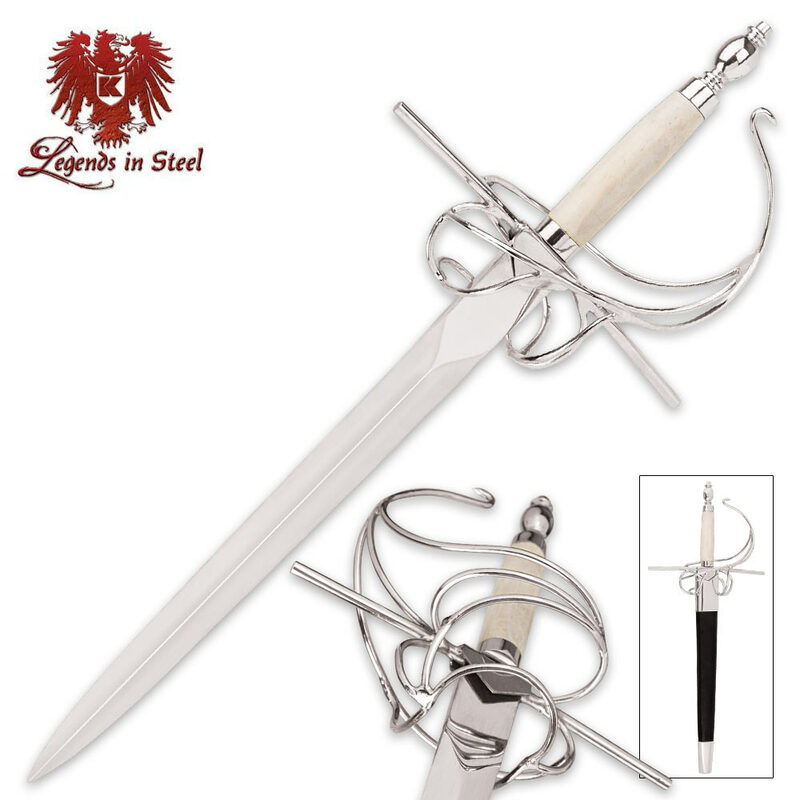 It's a jewel with its chrome plated, high carbon steel blade that comes to the signature rapier point. 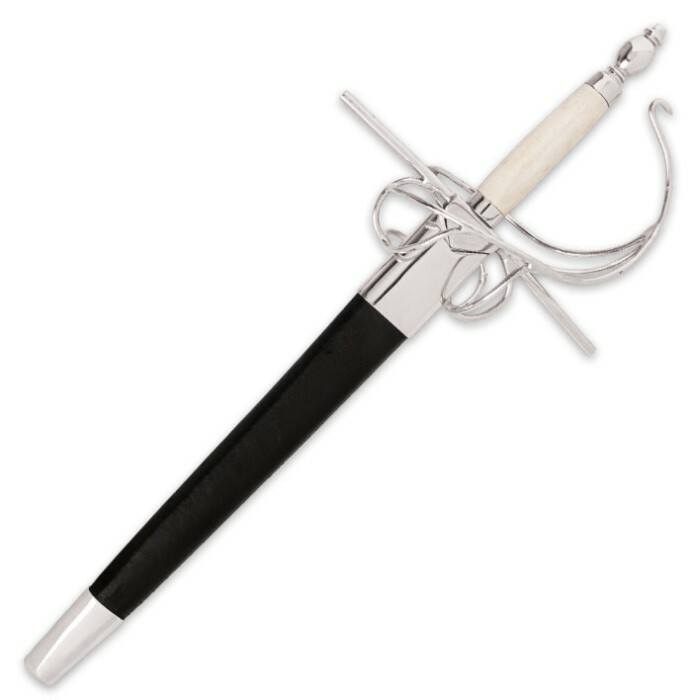 It has a bone handle and is housed in a wooden scabbard which is covered by genuine black leather.